After more than 100 years, EQUIPTO has been a leader in the space utilization market. A consistently better product, outstanding customer service, and an attitude that keeps clients coming back has made EQUIPTO what it is today. Our philosophy is that we want to make it as simple as possible to do business with us. As EQUIPTO continues to grow and extend its product lines, customers can expect the same innovation and quality that has made EQUIPTO the industry leader in space utilization products. 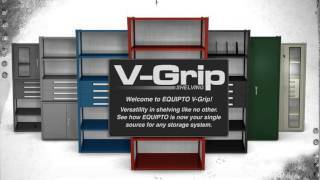 EQUIPTO’s customer base has grown across the U.S. and into many other countries. EQUIPTO proudly manufactures all of our products in the USA and supports The Buy American Act. EQUIPTO world headquarters is located in Tatamy, PA.